2Have Your Commercial Cellar Built by a Wine Storage Expert! Whether you are an owner of a wine business or a builder that’s learning how to provide better services to your clients, you should know the essential factors to consider when building a professional commercial wine storage system. Los Angeles Commercial Wine Cellar Built by a Wine Storage Expert. An expert builder is needed when constructing a wine cellar, because it isn’t just an average storage room being built. A wine cellar is a structure that can efficiently and effectively provide the ideal climate conditions for wine aging. Wines age well when the temperature is approximately 45 to 55 degrees Fahrenheit and the humidity is around 60% to 70%. There should be minimal to no fluctuations in these levels. 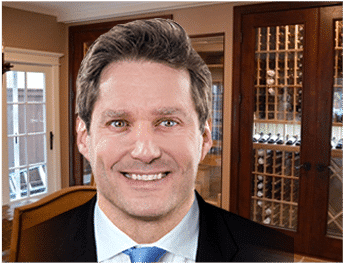 If you are an owner of a restaurant or store, or if you’re a builder that wants to provide better services to your clients, you should hire a wine storage specialist. The size of the wine cellar will depend on the number of bottles you intend to store. Ideally, businesses that sell wine should have a substantial amount of bottles stored in their cellars, so that customers can have more options to choose from. A large capacity commercial cellar is necessary, so that you won’t have to restock every time a customer purchases a certain bottle of wine. If you’re a builder, you can help commercial wine storage owners decide on the size of their cellars by considering the amount of bottles they intend to stock. Wine racks in a commercial wine cellar Los Angeles. Owners of wine stores or restaurants should anticipate the increasing need for storage capacity as the number of their customers rises. As your business grows, you will have to expand your cellar to accommodate more bottles. This means that you need to have an expandable wine cellar. You need to meet the increasing demands of your customers by adding more racking, so that you can store more bottles. Modular types of wine racks are best for expandable storage structures. Wine storage builders should consider offering various wine racking options for their clients. They should include modular wine racking systems; so that while their customers may want to store a few bottles at the beginning, they can choose to enlarge their space and grow their collection, as the demand for more wine increases. A functional wine cellar needs to have a power source for its cooling unit and lighting fixtures. You need to hire a commercial wine cellar building team who can setup the electrical wiring properly. You should also have a power backup system installed, in case of outages. Wine can easily spoil if the temperature and humidity drastically rises or drops out of the ideal range. If you are a commercial wine cellar owner, you need to hire a trained electrician to setup the electrical wiring for you. If you are a builder, it would be beneficial for your company to include a skilled electrician in your construction team. This way, you can provide your clients with the complete services they need. Wine business owners need to hire a storage expert to determine the appropriate wall thickness for their commercial storage room, because this feature varies from one cellar to another. Generally, an average wine cellar is built with standard 2×4 walls, which usually contains R11 to R15 insulation. But if a room has outside walls or walls with one side exposed to the sun, the inner wall should be thicker with more insulation. If you are a builder, it is your responsibility to train your team on how to properly calculate the right wall thickness for a storage space. Proper insulation is vital in keeping the temperature and humidity from constantly fluctuating inside the storage structure. Both the ceiling and floor of a commercial cellar should have adequate insulation installed. If the ceiling is directly underneath the roof of the building, the insulation should be at least 9”. If the floor of a cellar is concrete, a false floor needs to be placed on top of it. Concrete can either pull heat from the cellar towards the outside or add heat inside. This can negatively affect the stability of the climate conditions in the room. A false floor with insulation and vapor barrier should be positioned properly to prevent this. To effectively control the humidity in a commercial wine room, the cellar’s warm side should be completely wrapped with a vapor barrier. Ideally, a 6mm poly firm is used in most structures. Only a well-experienced cellar construction specialist is capable of installing a vapor barrier properly. Find a wine storage expert by clicking here! Beautiful wine cellar door for a commercial wine cellar. 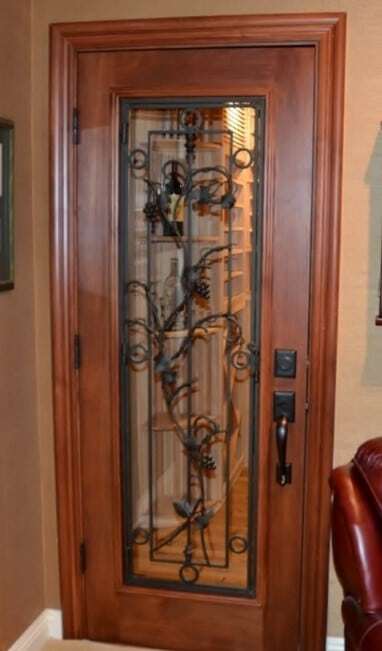 The ideal door for a wine cellar can keep the temperature and humidity inside from constantly fluctuating. 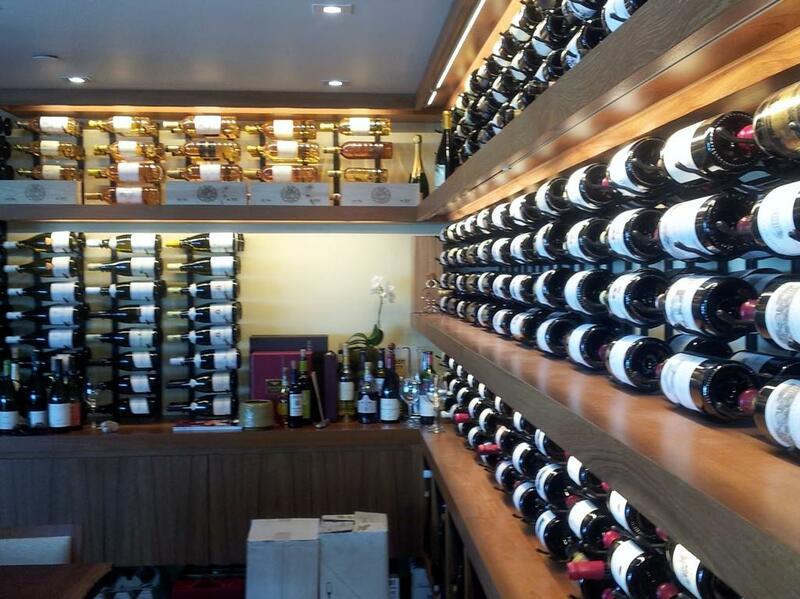 Unlike home wine rooms, commercial wine cellar are opened more often, because of the frequent need to get wines for customers. Fluctuations in cellar climate conditions are therefore more common in commercial wine structures. The negative effects of the frequent alterations in temperature and humidity can be minimized if a high-grade wine cellar door is installed. A quality door can properly seal the room when it is closed. Heavily insulated steel doors are the best choice for wine cellars, but a windowed door is also a good option, as long as the glass used is double-paned. Find out the requirements of an effective commercial cellar door by asking a local wine storage expert. Call US Cellar Systems today at +1 (562) 513-3017, so that you can get professional advice on the right door for a commercial wine room. For a wine business to be successful, all products should be of high quality, so that customers are always satisfied. There are many variables that contribute to the quality of wine, and one of them is having a dependable cooling unit installed in the commercial cellar. Cellars differ in the cooling equipment that they need, depending on various factors, such as the size of the room, number of bottles, climate of the location, etc. To determine the appropriate refrigeration system for a commercial cellar, a cooling expert has to be consulted. US Cellar Systems is one of the most reliable wine cooling specialists. Their licensed HVAC professionals are trained to accurately determine the appropriate cooling units for any wine storage structure. They are also well-known for manufacturing robust refrigeration equipment that can meet the needs of any commercial wine cellar. 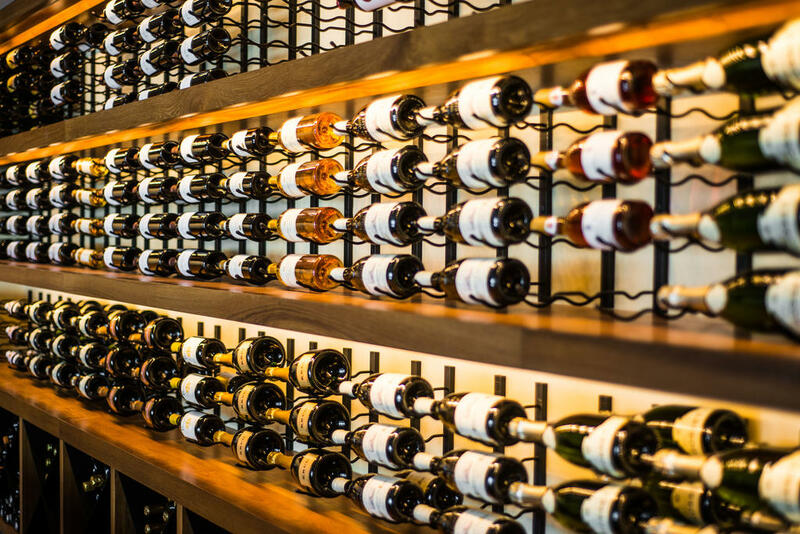 Whether you are an owner of a wine business or a cellar builder, you can depend on US Cellar Systems to help you create the ideal wine storage system for commercial use. Have Your Commercial Cellar Built by a Wine Storage Expert! Wine business owners and cellar builders have one common goal, and that is to create a storage structure that can effectively preserve the quality of wines. Get professional advice on how to create a professional wine cellar for commercial purposes!